UW-La Crosse students are near the top of the list nationally for paying back their student loans. UW-La Crosse is ranked No. 13 among four-year public institutions nationwide with the highest five-year repayment rates for Pell Grant recipients. A total of 82 percent of UWL students receiving Pell Grants in the 2010 or 2011 fiscal years had paid at least something toward their principal five years later. For non-Pell Grant recipients, the repayment rate was 88.7 percent. Also, UWL students who went into repayment on their federal student loans during the 2015 fiscal year have the lowest loan default rate over a three-year period compared to all other UW System institutions. Only 1.6 percent of UWL students defaulted on their loans, compared to the 5.1 percent UW System average. 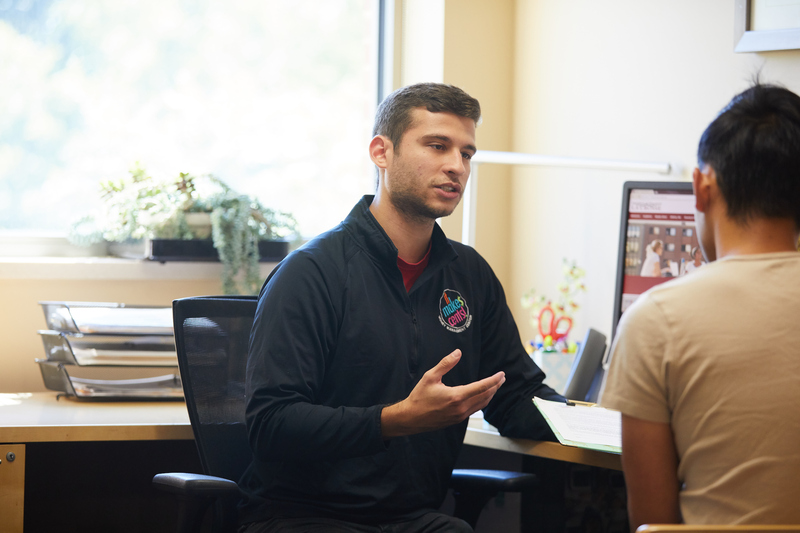 “Our Money Management Center offers one-on-one counseling appointments with student peer mentors who offer guidance on a number of personal finance topics,” notes Janke. Louise Janke, director of Financial Aid at UWL, attributes the good payback rates to students finding jobs, along with helpful coaching about finances her office leads. “We counsel students to establish an early relationship with their loan servicer which could make a positive difference,” says Janke. Each year, the Financial Aid Office sends a required “debt letter” to all enrolled students, along with offering sessions on loan repayment. Janke says when students come to campus to register for the first time, they receive information on limiting how much they borrow and the importance of graduating as early as possible. “The less in loans borrowed, the lower the payments and more likelihood that a student will be successful in repayment,” she explains. UWL’s award-winning It Make$ Cents! financial literacy programming is another key to positive repayment rates. Janke says the Financial Aid Office also cues students to online loan repayment information, including monthly repayment estimates. Office staff even reach out to students who are falling behind on their loan payments to offer assistance. “Along with our campus partners, we do as much as we can to help students graduate on time with the least amount of debt possible,” she says.